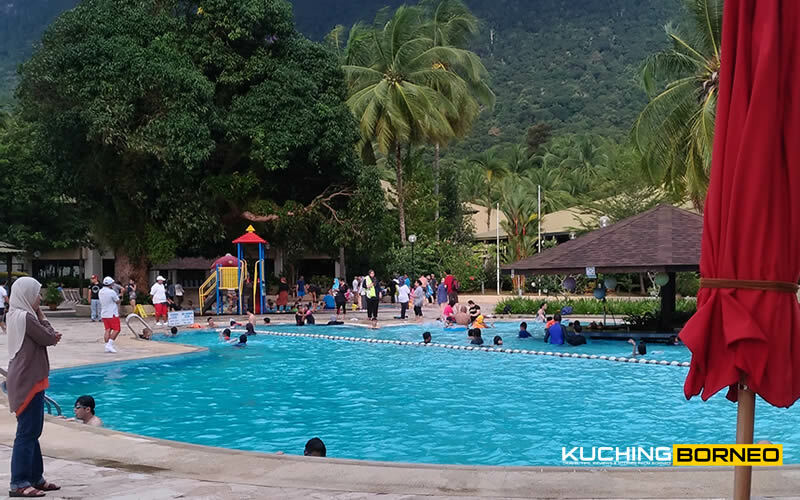 Kuching Beach Resort aren’t exactly popular, but that doesn’t mean they are non-existent. This article is to give you an insider tip about where you can stay in Kuching, if you wanted the sea as your morning view. 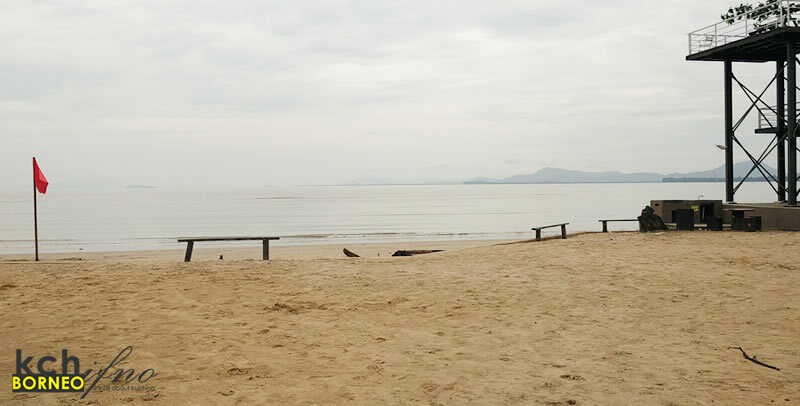 Most of the beaches in Kuching are outside the main city, with the nearest needing at least a 45-minute drive away from the city. Since these beaches are far from the city, it provides the best place to enjoy a relaxing holiday minus the crowd which usually throngs popular beaches like Bali or Phuket. If you are looking to spend a blissful holiday by the beach in Kuching, here’s the top ten hotels and Kuching Beach Resorts you can choose to stay in, all located just by the seaside, in no particular order. Damai Puri Resort & Spa has 207 luxurious guestrooms and suites with 2 signature restaurants and 2 bars, 2 fabulous freeform swimming pools, a secluded stretch of golden sand beach, a gymnasium, and a magnificent grand ballroom and 6 meeting rooms. It is located nearby national park hence perfect for leisure activities like jungle trekking and mountain climbing. Learn more about Damai Puri Resort and Spa. Sematan Palm Beach Resort is one of the furthest Kuching beach resorts. It is located in the Lundu district of Kuching, which is about two hours drive from the city. Located on Sematan Beach, the resort is very popular among locals as well as it provides one of the best sunsets during the evenings, with the beach also perfect for bathing. The resort has an infinity pool and bar which overlooks the sea. Learn more about rooms at Sematan Palm Beach Resort. One of the better beach side hotel facilities in Lundu is the Lundu Union Yes Retreat and Training Centre. 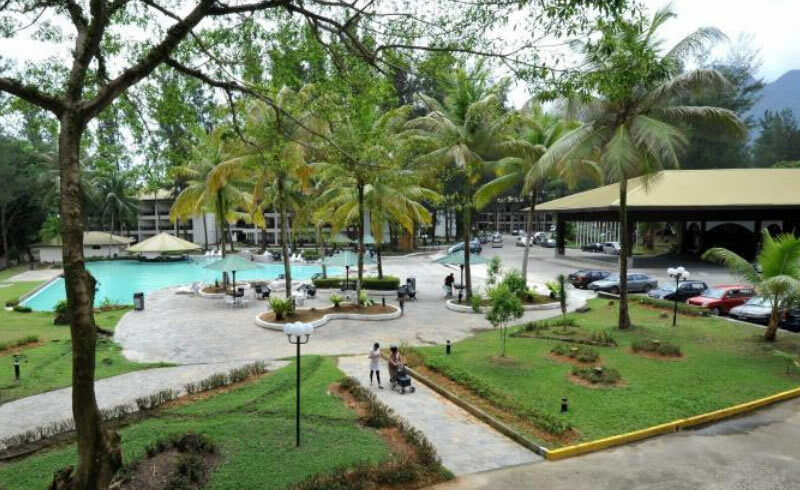 The centre can accommodate up to 200 guest at one time and has cabin rooms, chalets, and beach houses to choose from. There’s also two main pools for dipping and a wide range of facilities for guest including barbecue pits, private parking facilities, and a function hall. Learn more about Lundu Union Yes Retreat and Training Centre. 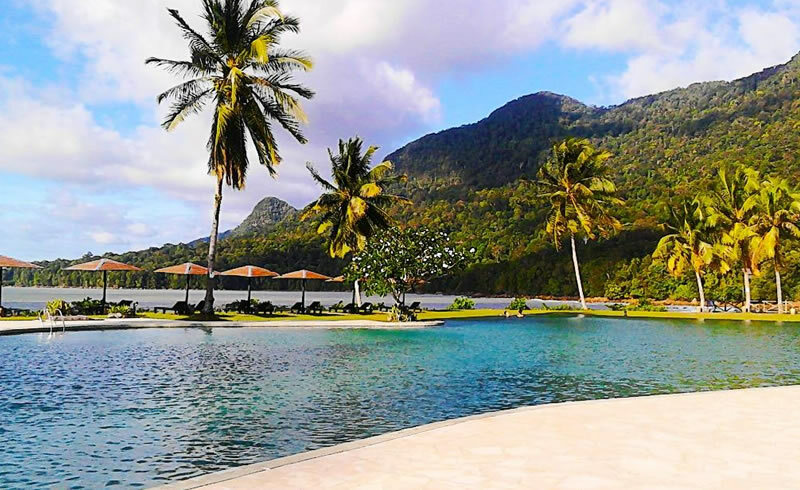 Century Santubong Resort (also known as One Santubong Resort) is a massive Kuching beach resort that guarantees tranquility and an escape from the hustle and bustle of the city. This 3-hotel spans across 25 acres amidst lush jungles with the legendary Mount Santubong in the background and overlooking the South China Sea. It is surrounded by the greens of the Damai Golf and Country Club, and located nearby the famous Sarawak Cultural Village. The resort has 380 modern and spacious rooms, suites and self-contained chalets. 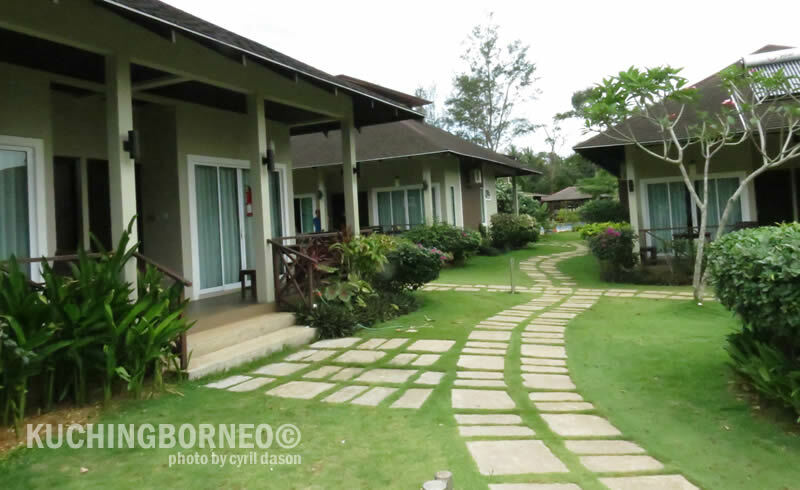 Learn more about Century Santubong Resort. Located on the peninsular of Damai, this Kuching beach resort is one of the most popular in Kuching. It has a large pool, and there is plenty of rooms to accommodate guest. Aside from rooms, there’s also private chalets available just by the seaside. 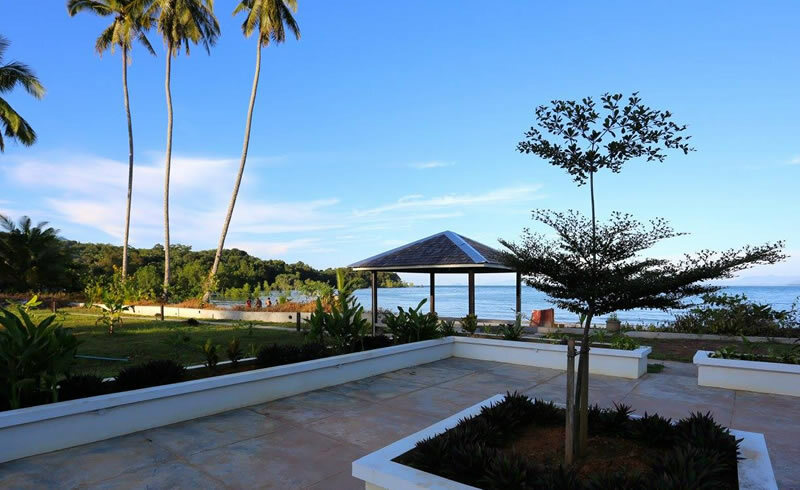 Learn more about Damai Beach Resort, Santubong. 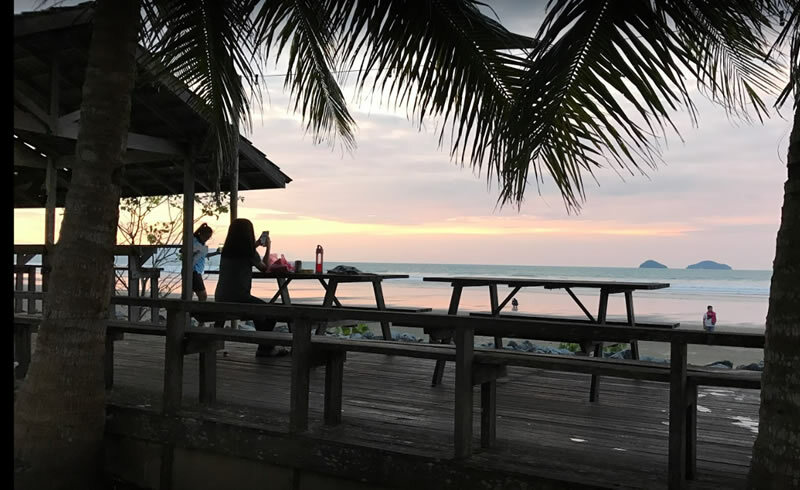 Permai Rainforest Resort is a small Eco-resort Kuching beach resort providing the best of both worlds; a warm Tropical beaches and the Borneo Rainforest, which is bordered on 2 sides by the Santubong National Park. The resort is also unique because it has 10 tree houses for you to stay at, and comes with a cabin bar and a host of unique nature-based activities from Stand Up Paddleboards to High Ropes Courses to Jungle Walks and Boat trips to see dolphins and mangroves. 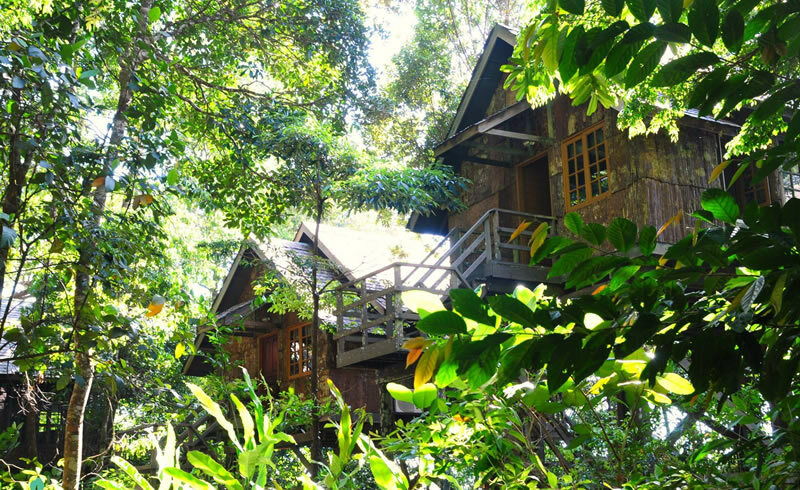 Learn more about Permai Rainforest Resort, Santubong. Basaga Holiday Resort is located on Siar Beach and it has 12 private villa-rooms with courtyards, and an own private outdoor bath tub. The resort also has a salt water pool, restaurant and bar. Aside from enjoying the beautiful Siar beach, guest can also opt to go to the nearby nature reserve to catch a glimpse of the Rafflesia, the biggest flower in the world. Learn more about Basaga Holiday Resort, Lundu.